Happy Friday! How cute is this pom pom dress?! I fell in love with it when I saw it and had to purchase it. I loved it even more when I felt how soft it is! 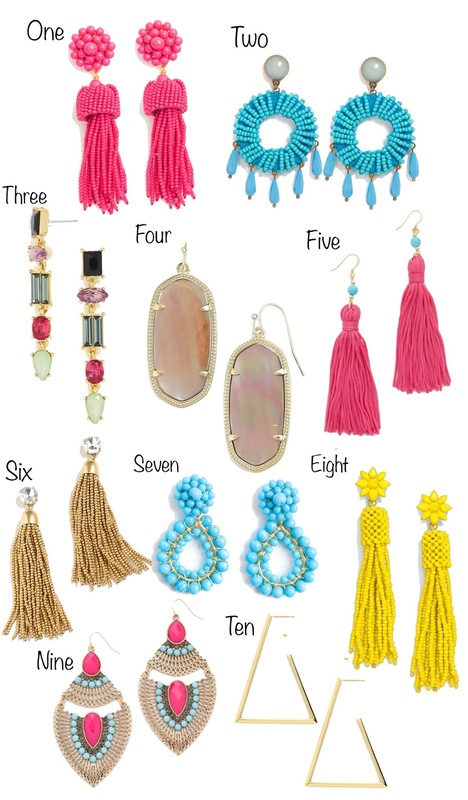 I love how the pom poms add a fun colorful touch, and I couldn't help but add a pair of tassel earrings to the mix. On another note, I also love these earrings because they are not heavy like many statement earrings tend to be. But I was so bummed to see that this dress is already sold out. Being this cute and only $30, I guess it didn't stand a chance at staying in stock for too long. There are several other adorable pom pom options that I've linked above and at the end of this post. I hope y'all had a fun weekend! We sure did over here. Saturday was especially fun! It was my definition of the perfect sunny summer day! Madeline had a blast, and it was so much fun watching her enjoy the summer activities we did. Happy Friday & happy official day of the Nordstrom Anniversary Sale being opened to the public! 🎉Today through August 7th, anyone and everyone can shop the sale! 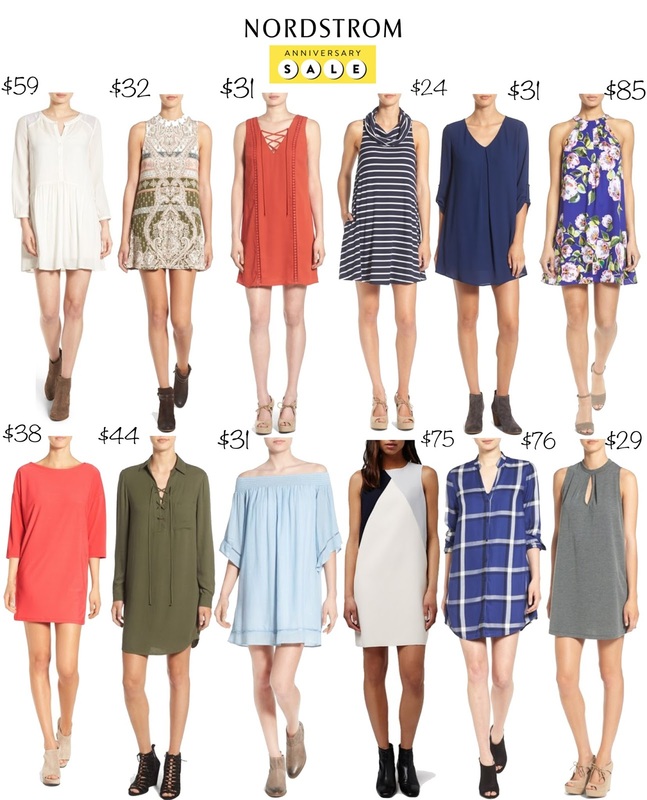 Then prices of all these amazing new fall pieces will go back up to the original price after August 7th. And lastly on today's agenda, I've announced the winner of my $250 Nordstrom eGift Card Giveaway! Check back on the post to see who won! 😊 And a big thank you goes out to everyone who participated in my giveaway! I appreciate y'all so much and wish I could give something to each of you. Thanks so much for reading, y'all and happy shopping! Hello, hello friends! A few things: One, tomorrow is the day that that Nordstrom Anniversary Sale officially opens to the public! 🎉 This means that you don't have to be a cardholder to shop the sale. But the one thing to remember is that items are going to officially sell out this time around, so if you've had your eye on something, grab it up! Returns to Nordstrom are super easy, so it's better to grab it while you can and return it if you change your mind. Secondly, I'm here today to share some shoe purchases + favorites! I'll be sharing some sizing info, as well. 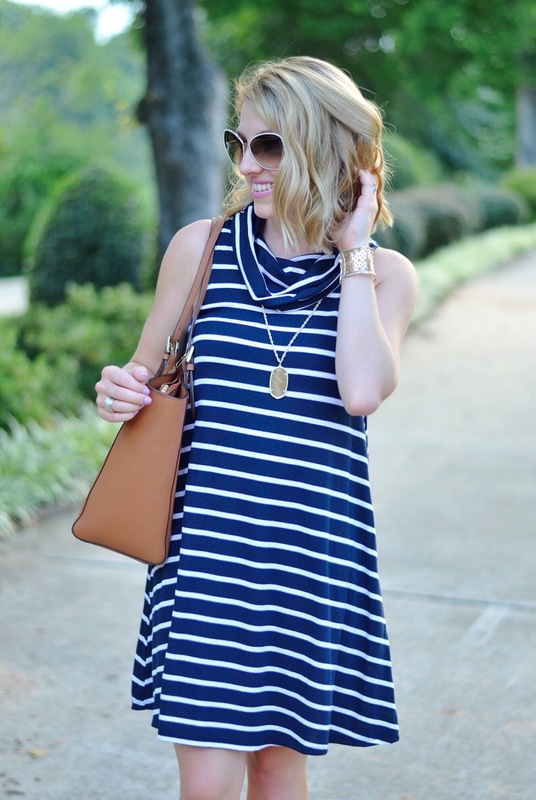 And lastly, today is the last day to enter my $250 Nordstrom Gift Card Giveaway! So, just in case you had no idea what you would spend a Nordstrom gift card on (haha), here are a few shoe ideas that might help you out a bit. One // I have worn these on my blog already (see the post here). I absolutely adore them! They are the perfect summer to fall sandals. I like to think of them as being half sandal, half bootie. They run true to size. Two // These shoes are a dream! The details are just gorgeous! There is also another lace-up option that is much cheaper than these. Three // I was in need of a new pair of running shoes, so I went with these! I highly recommend them, and they also run TTS. Four // I saw these in the store last week, and they are definitely a gorgeous pair of Hunter Boots! Five // Okay, these flats are SO cute! The little studded detail around the heel make them absolutely adorable. And the pointed toe is just the right amount of pointedness. The price of these is amazing, and they come in a few color options. They run true to size. Six // I absolutely love the cut-out detail on these...so gorgeous! Seven // Shoe number five also comes in a heel version. I love the navy! You can't tell as much from the image online, but they make such a statement! Eight // These are possibly my favorite pair of booties in the entire sale! They are amazing and such a great deal. I felt they run a but large, so I sized down half a size. The details are gorgeous on this shoe! 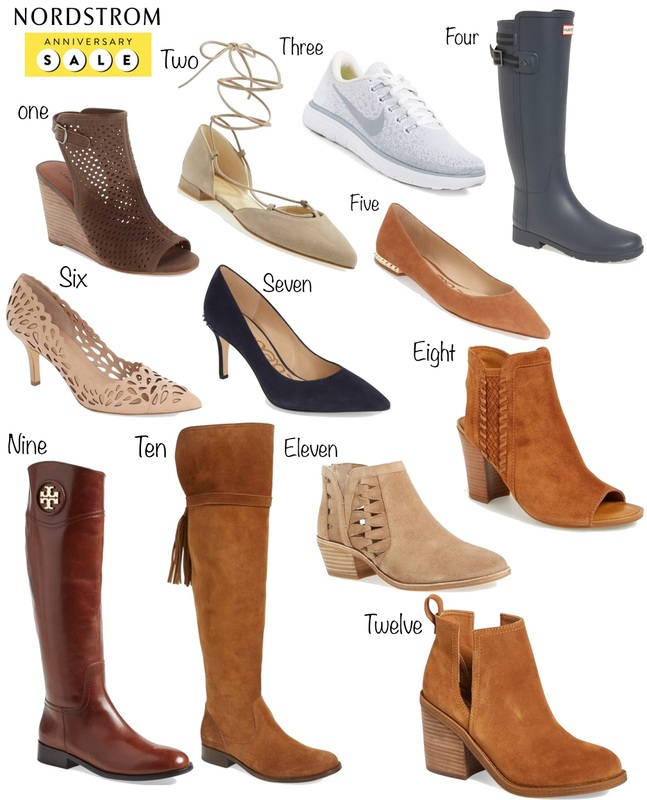 Nine // Ahh I always like to call this THE boot of the entire sale! And goodness are they gorgeous this year. Unlike last year's boot (which was more of a really dark brown), these are a true brown...the brown you'll wear with everything in the fall! What's my favorite part about these? The accent around the logo. It's absolutely gorgeous! And you won't find Tory Burch riding boots this cheap anywhere else. They run true to size. Ten // I think the tassel detail on the back of these OTK boots adds the perfect touch. Eleven // These booties are so cute! I love the cut-out detail. I also am obsessed with the color...they come in a khaki suede, which is a lighter option. It's a nice little change-up from a brown or black. Twelve // These booties are SO. CUTE. The sides being cut out adds the perfect twist. They do run small, so I sized up half a size. Which pair is your favorite?? Happy Wednesday, Friends! Blush + olive green has to be one of the prettiest color combinations that I've ever seen. I saw this dress on the Nordstrom Anniversary Sale and loved it. I was a little hesitant about it, but when it came, I immediately fell in love! Again, it's one of those pieces that looks so much prettier in person. This dress is so soft...it literally feels like pajamas. It is such a gorgeous dress to wear now and in the fall. I love the idea of putting a cardigan over it and pairing it with riding boots. It comes in several prints to choose from, as well. 😊 The lipstick I'm wearing here is also something that I want to note. It's the prettiest shade of pink, and it comes in a set with a gloss, eye shadow and mascara for $39 as part of the anniversary sale. It's amazing! Remember, the anniversary sale opens to everyone (cardholder or not) tomorrow! And also, my $250 Nordstrom gift card giveaway runs through tomorrow.